Former Vice President, Alhaji Atiku Abubakar, who on Sunday emerged as the presidential candidate of the major opposition Peoples Democratic Party (PDP) for the 2019 election was born on November 25, 1946 to a Fulani family in Adamawa State. He is a dogged, seasoned and experienced Nigerian politician who has been relevant in the socio-political space for over three decades. He has leadership skills with capacity that has been manifest in the various roles he has occupied since the 80s. Atiku is passionate about a cohesive, integrated, transformed and economically viable Nigeria that creates opportunities for all the citizens, closing the wide inequality gap and uplifting millions from poverty. The second in command to erstwhile President Olusegun Obasanjo under the PDP administration from 1999-2007 is also a pragmatic business leader, with investments in various sectors of the economy. 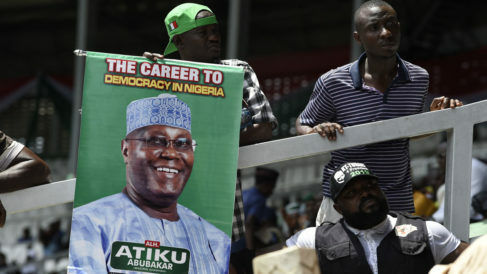 Atiku, a former deputy comptroller general of the Nigeria Customs Service (NCS), began his political career in the 1980s by working for Alhaji Bamanga Tukur’s gubernatorial campaign, and later worked with the late former Chief of General Staff, Lt. Gen Shehu Musa Yar’ Adua. 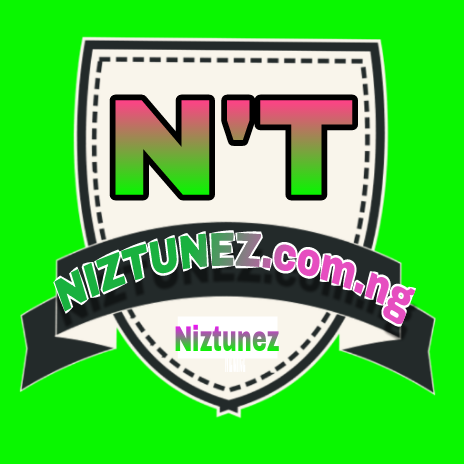 He was the vice-chairman of the Peoples Front of Nigeria led by the former military chief. In 1991, he contested the gubernatorial seat in the then Gongola State, now Adamawa and Taraba states but still remained a close associate of Yar’Adua. In 1993, Atiku vied for the presidential ticket of the Social Democratic Party (SDP) but lost to the late Chief M.K.O Abiola, who emerged as the flag bearer of the party in the annulled June 12, 1993 presidential election. Atiku emerged the key driver of the Peoples Democratic Movement (PDM) that joined other political movements to form PDP in 1998. He contested and won the governorship election in Adamawa State, but was invited by Obasanjo to serve as vice president. As vice president, he was the chairman of the National Council on Privatisation where he played an instrumental role in the privatisation process of the telecommunications industry, which has been described as one of the best economic decisions of the Obasanjo’s administration. With his wealth of knowledge and understanding of business, Atiku carried out other pro-business reforms of the Obasanjo administration, which saw Nigeria’s economy experiencing a turnaround, attracting key investments from the western nations. Atiku came to the limelight when it was widely reported that he refused to endorse Obasanjo’s third-term ambition in 2006 and led some governors to kick against his boss’s aspiration. Although Nigerians commended him for the tough stand against his boss’s third-term ambition, he suffered serious attacks from Obasanjo thereafter. In 2006, Atiku teamed up with the former governor of Lagos State, Bola Tinubu in the defunct Action Congress (AC) to mobilise efforts to challenge the PDP. He, however, returned to base in 2009. As part of his continuous efforts to seek a presidential ticket, Atiku left PDP for the All Progressives Congress (APC) in 2013, where he contested and lost the presidential primaries in 2014 to President Buhari. He supported the incumbent president to oust former President Goodluck Jonathan’s PDP government in the 2015 general elections. After some irresolvable differences between him and some power-that-be in the ruling party, Atiku returned to PDP in 2017, citing the failure of the Buhari’s administration to give hope and provide opportunities to Nigerians. He started a fresh campaign for a presidential ticket by aligning his voice with those that were agitating for the restructuring of Nigeria to achieve true federalism, which does not attract the attention of Buhari. Since he joined the PDP presidential race early this year, the former vice president made restructuring his song, which he sang to the admiration of most of the socio-cultural organisations in the South and Middle Belt until he got the ticket yesterday. Atiku attended Jada Primary School, Adamawa State; Adamawa Provincial Secondary School; School of Hygiene, Kano were he served as interim student union government president; and bagged a Diploma in Law at the Ahmadu Bello University. An interesting part of Atiku is his political and social activism on the social media. He understands how to engage the youths through his twitter account @atiku on issues in the nation, and he is a passionate Arsenal Football Club fan.